Everybody knows who Bill Murray is, from amazing comedies like Caddyshack and Ghostbusters to dramas such as Lost In Translation and Broken Flowers his fans transcend any single category. It all started when he broke out on “Saturday Night Live” in the late ’70s and formed some amazing partnerships that lasted for over a decade. You know who Bill Murray is public but we’ve uncovered some amazing secrets about the Real Bill Murray–some will make you laugh and some you won’t believe. During a 2006 trip to St. Andrews, Scotland, for a celebrity golf tournament, Murray accompanied 22-year-old anthropology student Lykke Stavnef, whom he and his friends had met in a bar, to a house party. “Nobody could believe it when I arrived at the party with Bill Murray,” she told The Telegraph. Murray then washed all the dishes in the students’ sink. “It was really funny because he was pretty old compared with all the other people there, but he was so relaxed and it was really amusing when he started to wash up,” Stavnef said. #3 He would throw banana peels in front of people on the set of St. Vincent. #4 Bill Murray is generous, but maybe not for the right reasons. Most people don’t go around questioning celebrities generosity, but based on Bill Murray’s penchant for finding reactions we kind of think that when he gave a waiter $50 to take acting classes he wanted to take that perhaps it was more about the waiters reaction than about the giving. #5 Bill is funny (even when he’s been drinking). As people do to their favorite celebrities a fan to Bill that she loved him in the Atlanta airport. Bill immediately told her that he loved her too and kissed her on the mouth. Bill Murray is in such demand and has so much experience that he feels that he doesn’t need an agent, manager or publicist. This easily saves him over 35% in commissions but may leave money on the table. He’s fine with that. If you want to hire him just call his toll free number and he might get back to you… we’ve heard rumors that it can take 6 months and may require multiple calls on your part. While chatting with his Oakland Cab Driver Bill discovered his Cab Driver was a saxophone player who never had time to play bill had him pull over so that the driver could practice in the back seat while bill drove. Always taking things to extremes, he asked the Cab Driver if he was hungry and proceeded to take him out to dinner. Bill Murray ate Oakland barbecue while the Cabbie played while his cab driver blew on the saxophone for an astonished crowd. #9 Bill isn’t the best bartender. Murray and members of Wu-Tang Clan (RZA and GZA) walked into an Austin bar and started bartending. No matter what they ordered, the actor would just give them shots of tequila. It’s almost too good to be true! Bill only did the Garfield movie because he misread the script. He thought it was being directed by the Coen brothers — the famed writer-directors of “The Big Lebowski” and “No Country for Old Men” — were making the film. Only later did the actor realize it was the director Joel Cohen (not Joel Coen)! Maybe a little less relaxation and perhaps guidance from an agent would have helped him avoid making that mistake again! He was David Letterman’s first onscreen interview back in 1982. Since then, Murray has shown up on the show in a variety of ridiculous and hilarious outfits, from a jockey costume to a green jacket with boxers ensemble. Bill Murray and his five brothers – actors Brian, Joel, John and businessmen Andy and Ed opened the first Murray Bros. Caddyshack at World Golf Village St. Augustine, Florida, just south of Jacksonville. Designed to look and feel like a country club gone awry, the restaurant combines the brothers’ sense of irreverence with their love of golf. 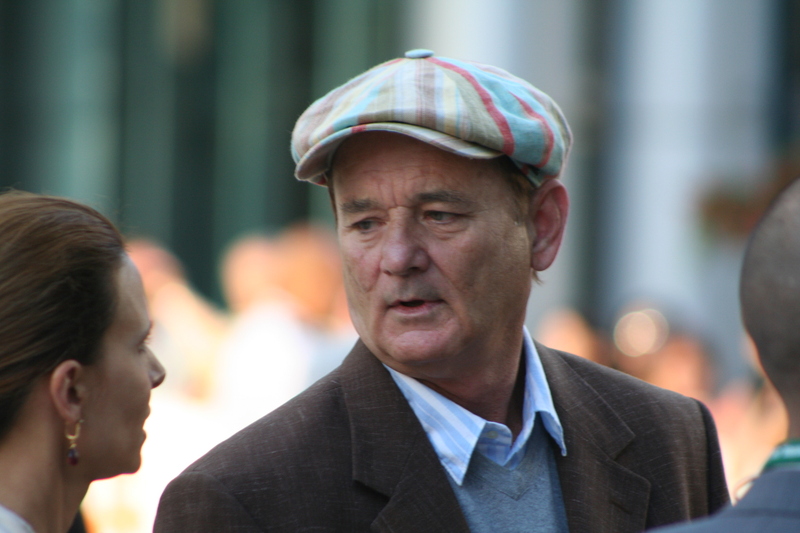 Bonus – Bill Murray is a thief but no one believes it! One time, Murray came up to a patron at Wendy’s, took a fry off the person’s tray, ate it, looked them in the eyes and said, “Nobody’s going to believe you” and walked away.